Saturday, las chicas of Los Tweens visited Fun and Fit at Miami Beach’s Jungle Island. Aside from the exotic animals which could keep the kids entertained all day, brands brought out their “A” game with giveaways, crafts, fun photo booths and lots more. To start off the day, Sophia, Maddy and Olivia had a chance to learn all about eye health from the Transition’s Lenses tent. AND, they had a chance to meet celebrity chef Ana Quincoces! After running around and exhausting themselves checking out all of the activities, the girls were starving. Luckily, Barilla was there to provide the fuel to keep them going. 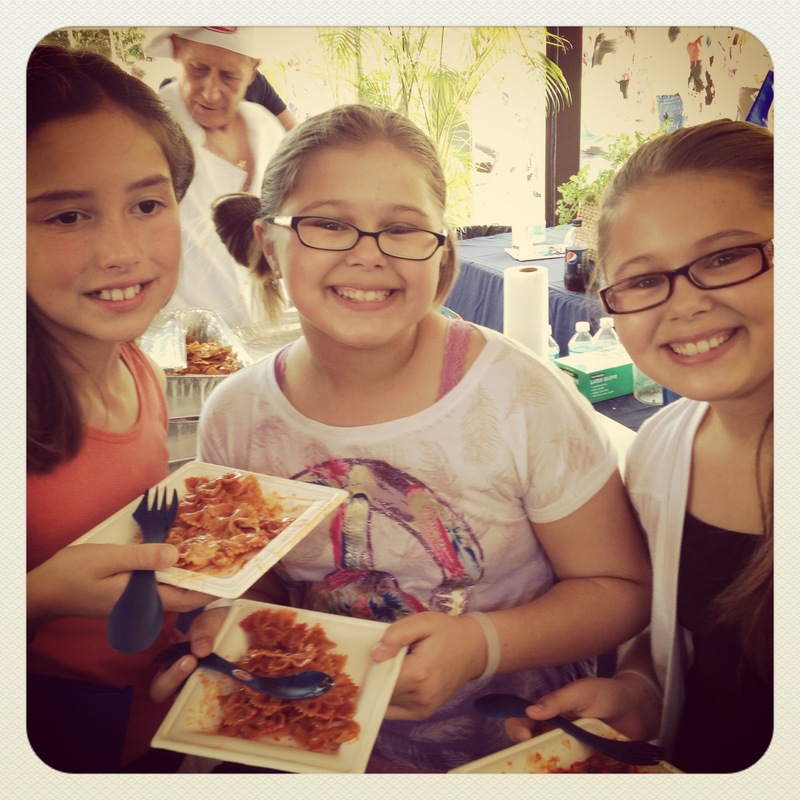 To keep them entertained while they ate their yummy pasta, the girls made noodle bracelets and then jumped in the Barilla photo booth. Chef Robert Irvine! 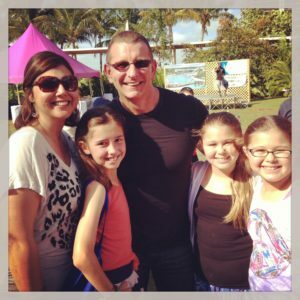 Chef Irvine was on location filming but was sweet enough to take the time to pose for a picture with Cristy and the girls. No matter how mean he looks on TV, he was super nice to the Los Tweens familia! The excitement proved to be enough for the girls and they were done for the day. 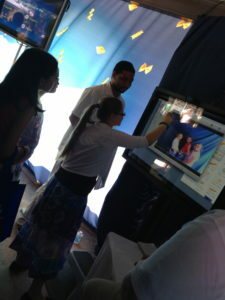 Plus, it was time for the parents to have their turn! On Sunday, Katherine and the hubby took off to the South Beach Wine and Food Festival Grand Tasting Village in South Beach. Upon walking into the village, they were greeted by none other than Chef Bobby Flay. 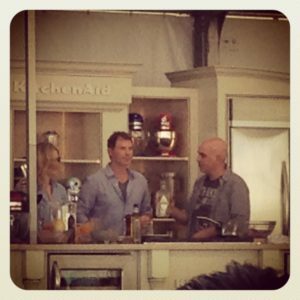 He was on stage mixing up cocktails when Chef Michael Symon made a guest appearance – two for one! It turns out that we had missed Top Chef winner (and one of our personal favorites) Chef Richard Blais. Here he is enjoying the sun, sand, surf and an Evian! 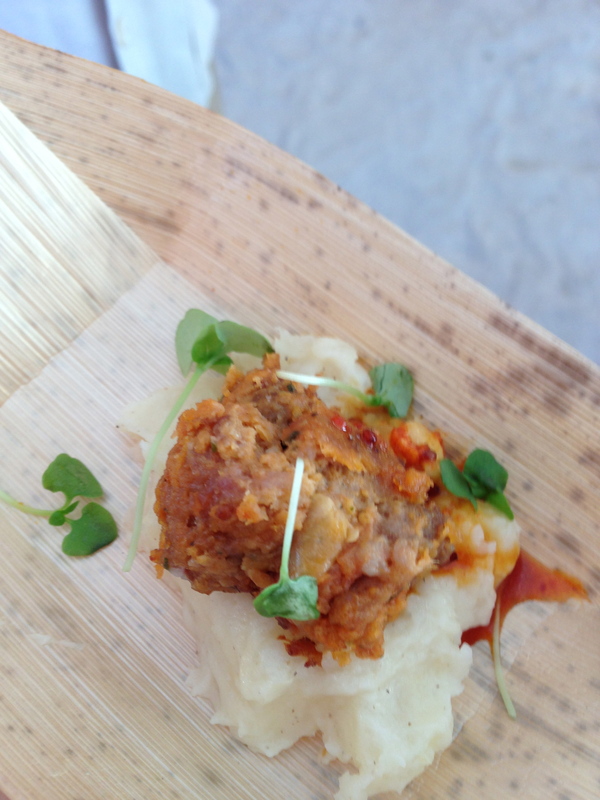 Our pick for favorite dish from the Grand Tasting Village at South Beach Wine and Food Festival goes too…and there were so many great choices but just choosing one…..it has to be….Goya’s meatloaf and yuca mash! It was the perfect bite. 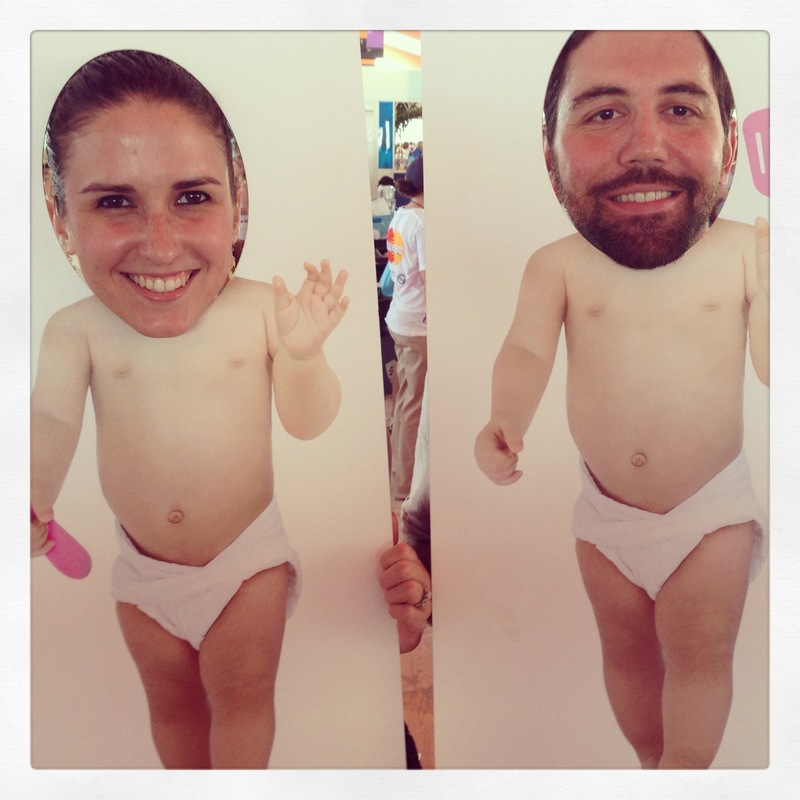 Abrazos from this years South Beach Wine and Food Festival – see you next year!